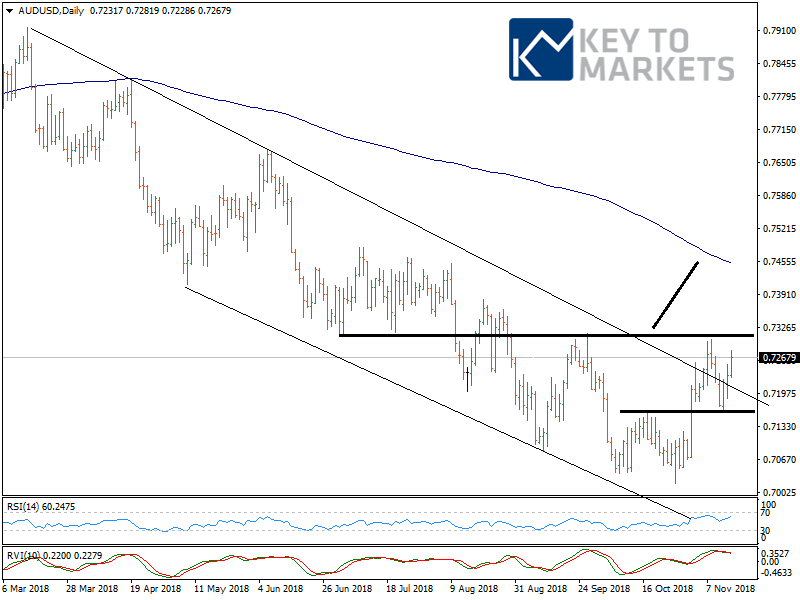 The Australian dollar pulled up some 50 pips after the October labor force data. October unemployment rate remained stable at 5.0%, and the economy created more jobs than expectations. We continue to expect the economy has a long way to go to join the rate hike club. 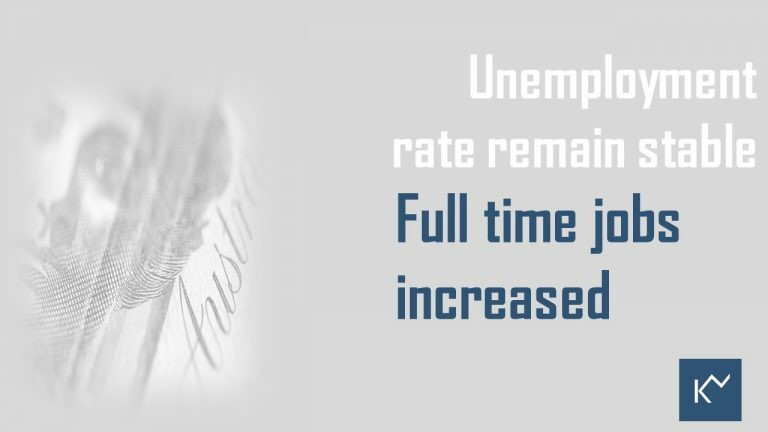 The unemployment rate was steadily remained unchanged at 5.0% in October, according to the Australian Bureau of Statistics. The economy created 32,800 jobs in October on a seasonally adjusted basis beats our expectation of 20,000. Since October 2017, full-time employment increased by 238,800 persons, while part-time employment increased by 69,400 persons. The cross AUDUSD rose as much as 0.60% following the October employment data. Post-the data released the cross made a high at 0.7281 and retraced back to 0.7260. AUDUSD has gained some 2.40% since September Labor force data. The erosion of the 0.7300-0.7315 thresholds is highly encouraging all the more so as the daily volatility tends to increase markedly and as the daily indicators are mildly bullish. Besides, the pickup of the weekly indicators also underlines further upside potential. A break of these last barriers would be needed to initiate a more pronounced recovery to 0.7390, 0.7450 and finally 0.7500. The 161.8fe finds at 1.0500, note that the long-term ascending trendline meets the price around 1.0600. We look to buy on dips (1.0600-1.0500/1.0490).